Server management tools have evolved rapidly in the past few months making it easier to remotely monitor and configure your servers – both for Windows and Linux-based systems. In January, we announced the general availability of PowerShell Core 6.0, now cross-platform (Windows, macOS, and Linux), open-source, and built for heterogeneous environments and the hybrid cloud. Project “Honolulu” is the new unified management hub with most of the tools you’d use to monitor or troubleshoot Windows. Microsoft Mechanics highlighted many of the recent updates with Jeff Woolsey from the Windows Server engineering team. 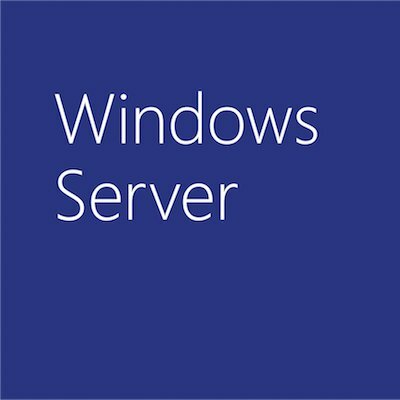 Starting with Project “Honolulu”, you see the unification of tools to remotely manage the many options you have when setting up Windows Server environments. This gives you a single place and unified interface for monitoring, managing, and troubleshooting your servers – whether they have a GUI or not. Project “Honolulu” takes on the functions of most of the commands, management consoles, and tools you’d typically use for managing Windows. And of course, this works wherever your servers are in your datacenters, Microsoft Azure, or other clouds – as long as Project “Honolulu” can access and authenticate into those servers. 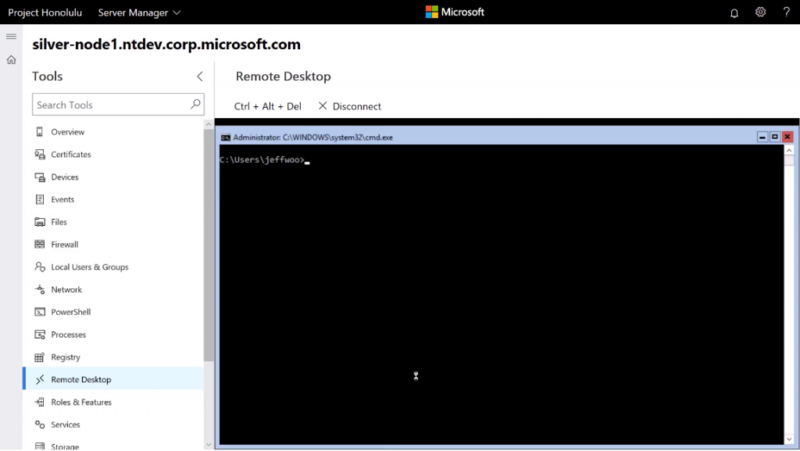 If you haven’t been using or testing Project “Honolulu” recently, you’ll notice that in addition to providing core experiences like certificate management, device management, events reporting, file system, firewall settings, user and group management, networking, role management and more, we’ve recently added support for connecting via Remote Desktop using RDP over HTML5. We’ve also added support to run PowerShell from Project “Honolulu” directly. These experiences all work without switching contexts between tools and enable management of multiple servers from one place and we’ve even recently added support for client management from Project “Honolulu”. All of this can be done without needing to stay up-to-date with the latest Remote Server Administration Tools (RSAT). 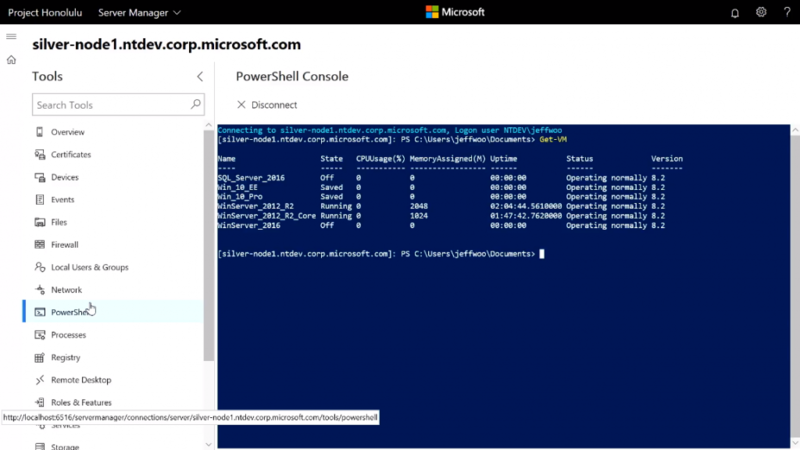 Beyond console management for Windows Server, we’ve also expanded the scripting capabilities for server management across platforms with PowerShell Core 6.0. PowerShell Core is a cross-platform (Windows, Linux, and macOS) automation and configuration tool/framework that works well with your existing tools and is optimized for dealing with structured data (e.g. JSON, CSV, XML, etc. ), REST APIs, and object models. It includes a command-line shell, an associated scripting language, and a framework for processing cmdlets. You can also author and run PowerShell scripts using Visual Studio Code across platforms, using the PowerShell Language Support for Visual Studio Code extension. This extension provides rich PowerShell language support for Visual Studio Code. Now you can write and debug PowerShell scripts using Visual Studio Code with syntax highlighting and other helpful tools. 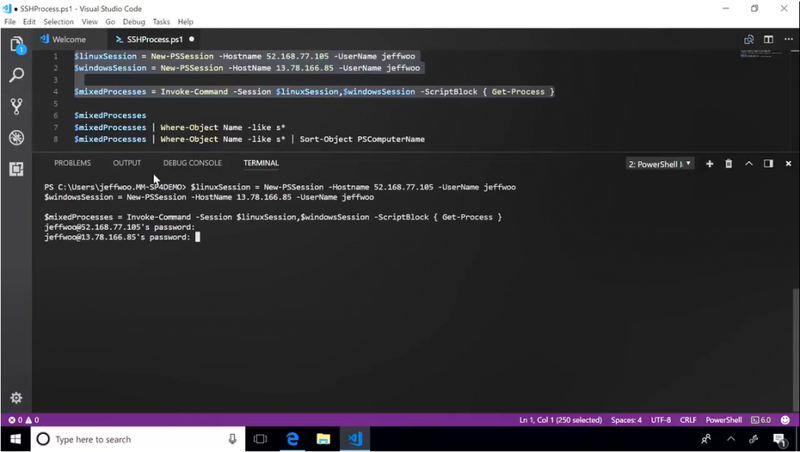 Jeff demonstrates in the video how you can even invoke commands against Linux and Windows servers using the same, single cmdlet. PowerShell Core 6.0 is available for Windows, several Linux distributions, and even macOS. Check out this week’s Microsoft Mechanics show and download the latest versions of Project “Honolulu”, PowerShell Core 6.0, and the extension for Visual Studio Code. Of course, keep giving us your feedback and check back with us for the latest on server management tools!